Recent big news is that Pope Francis has been offered $1 million to a charity of his choice if he goes vegan for Lent. The letter from a 12-year old animal rights activist and a vegan campaign calling on him to go vegan has sparked the interest of many all around the world. How hard would it be for the pope to go plant-based? After taking a look at the contents of his current diet we determined that...drum roll….it would be quite easy actually! Let’s take a look together, shall we? Pope Francis already has a very modest diet, especially compared to his predecessors. His morning routine consists of waking up at 4:30am every day, praying for two hours, meditating and preparing his morning homily. After mass, he does a meet-and-greet with some of his followers before having breakfast in the hotel dining room at the Vatican's Casa Santa Marta, where he lives. His breakfast includes freshly squeezed orange juice, which is very much vegan by the way, and a simple Spanish dish called membrillo. Membrillo is a gelatinous pasta that's made out of quince and is highly popular in Argentina, where Francis grew up. It's made by reducing quince pieces to a purée, adding sugar and lemon juice, then cooking until it's thick and dark. The membrillo itself uses plant-based ingredients, so if he just pairs it with some whole grain bread with no egg or dairy and leaves out the cheese that is typically eaten with membrillo (or just substitutes with vegan cheese) he is golden for the most important meal of the day! When it comes to the ingredients of his meals, they are all organic and plant-based as they use seasonal ingredients and vegetables. In his writing Laudato si', Pope Francis' second encyclical, he states that the fight against injustice and inequality begins with the land, water, agriculture and food. 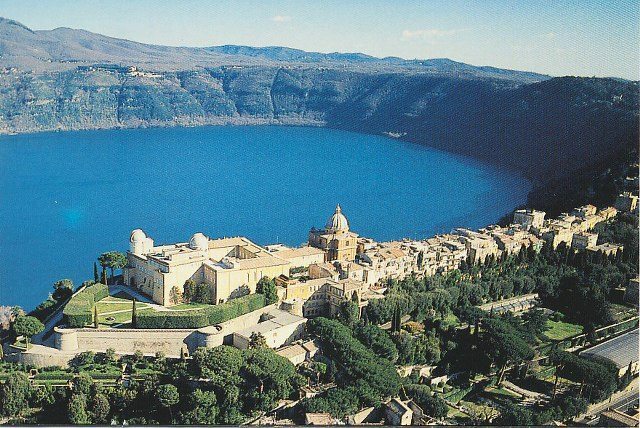 As such, the produce used in the pope's meals is fresh and castel-grown at Castel Gandolfo, a vast summer residence for incumbent popes which includes a palace, 74 acres of garden and 62 acres of farmland that's used to grow vegetables, keep crops and rear animals. This is great news! Given that vegan meals are plant-based, Pope Francis has the basics needed for most vegan meals right at his fingertips. Fresh vegetables can be mixed and matched to create various amazing vegan meals. Italy is of course THE place to get pasta. It also happens to be one of the pope’s favorite things to eat. The Vatican doctors insisted that Pope Francis seriously cut down on his pasta intake for the sake of his health. He has had a few health scares before as he has put on weight since the election, he has suffered from back problems, not to mention he is missing a part of his lung. The instruction of cutting down on pasta also came with the strong suggestion to exercise more. Cutting out something that you love is not easy, so it is not clear how successful Pope Francis has been in cutting out pasta from his diet, but word is that pasta has not completely disappeared from his diet yet. Luckily, this is where the vegetables from the garden at the Castel Gandolfo come in handy! You can actually make pasta from all types of veggies! Zoodles (zucchini noodles), Coodles (carrot noodles), Swoodles (sweet potato noodles), Squoodles (squash noodles), Boodles (broccoli stem noodles) are a few of several types of vegetable noodles that feel and taste practically like the “real” thing. They are also very easy to make and spice up already delicious meals. Even if Pope Francis wanted to stick to pasta made with dough vegan pasta is also a thing! With either of these options he could not only make his doctors happy, but he also would not need to give up his favorite thing to eat! Pizza? How can the pope say no? For his birthday in 2013, he celebrated with a 13-foot pizza! Francis explained that, despite largely enjoying his time as pope, the one thing he would want is "to go out one day, without being recognized, and go to a pizzeria for a pizza" (USA Today). 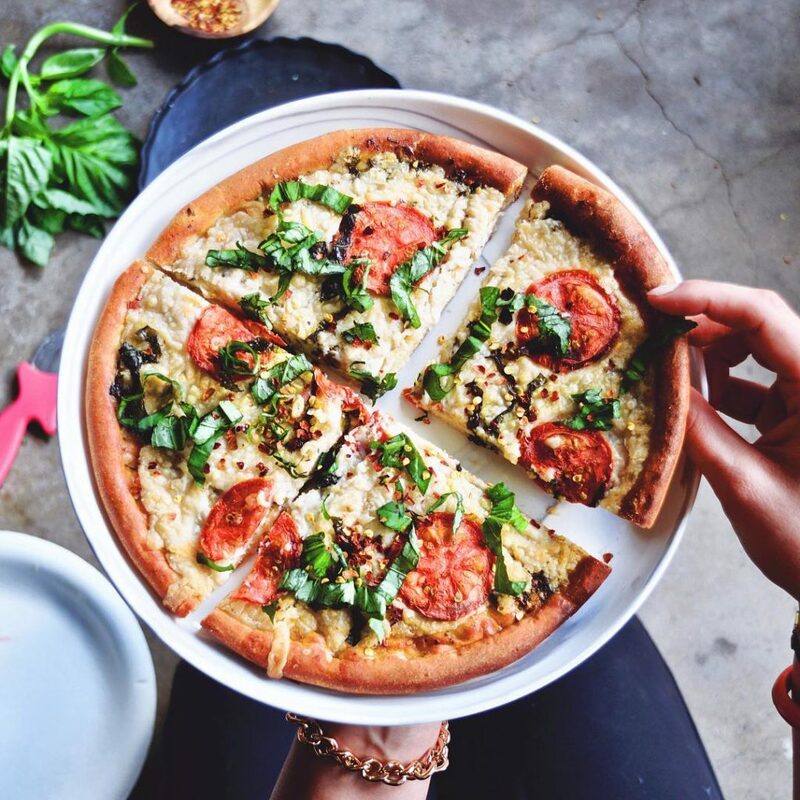 Although it’s doubtful he can ever go unrecognized, it is completely possible to eat equally yummy pizza...but completely vegan! Yes, my friends. The delectable comfort food we all love so much can be made 100% vegan and still taste as good (if not better). The pope will be glad to know that he can enjoy 13-foot vegan pizzas too! It would be pretty easy for the pope to go vegan for Lent. Practically every meal you can think of has a plant-based, vegan alternative that tastes just as great. For $1million for charity, this should be an easy task for the already infamously disciplined man.